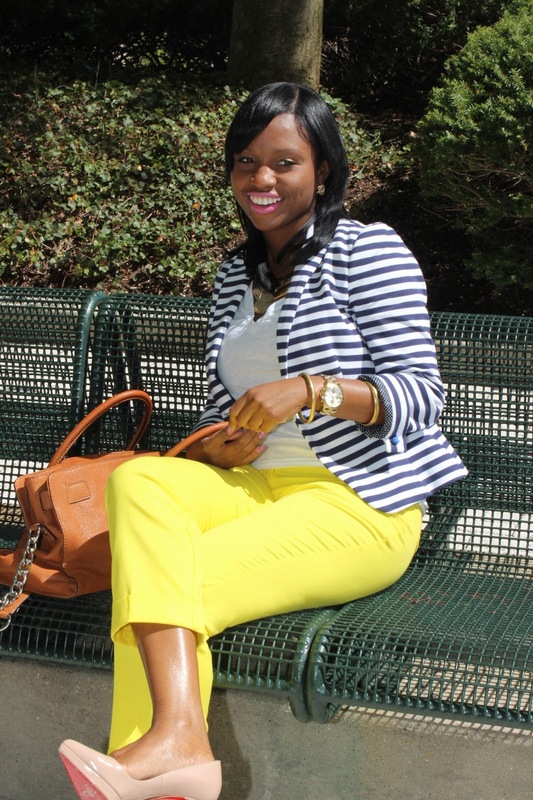 It is my pleasure to introduce another dynamic young professional woman, Priscilla of Prissy Savvy. Priscilla's style embodies class and elegance. 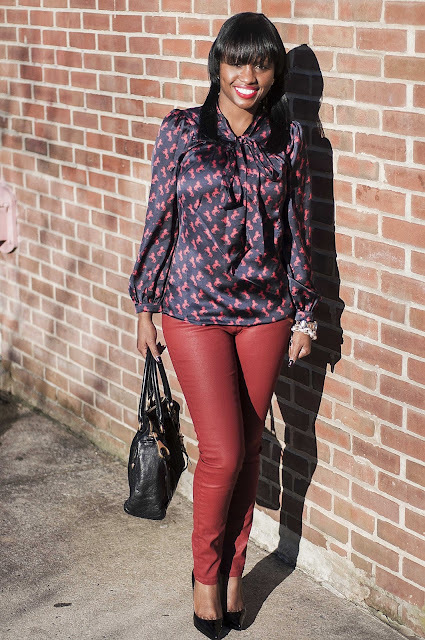 If you are looking for a style reminiscent of the modern day lady, her blog will give you tons of inspiration. It is my pleasure to introduce Priscilla and her blog Prissy Savvy. Tell us about yourself, who is Priscilla? I am a recent college graduate; my hobbies include shopping, eating (yes I consider that a hobby), spending time with friends and families, and helping others. I started my blog after graduating with my masters. While in school, I drowned myself in books and lived and breathed school. After graduating I got a little bored. Being very shy, I started my blog to express myself without words and with my clothes. Which was pretty easy because I love dressing up. I love everything in my closet! However, if I had to pick a few it will be my Christian Louboutin circonvolu sandals, my colored suits, and my various pencil skirts. I plan on wearing tons of bright colors and floral this summer. I am a girly girl; therefore, I love anything bright and colorful. Thank you for featuring me on your site and it is my hope that your readers will visit my blog at: http://www.prissysavvy.com. If your readers like my style, they may stay as long as they want and join and subscribe to it. Be sure to visit Priscilla's blog, Prissy Savvy. like her style!! so happy I found your blogger to connect - now following!! Thank you ladies for reading! Priscilla has fab style! Thank you again for the feature! Very humbled and grateful! I really like her style!! Amei o estilo da Priscila. Amei seu blog também. Parabéns.